What to do with Visitors in Denver! For most, the promise of micro-brewed beer and hiking is enough but my mom doesn’t drink or hike….sooooo? Hokey but fun to read about the history of the wild wild west. For instance, did you know Buffalo Bill was Colonel? Up until 4pm Thurs-Mon, you can tour Coors Brewing Company for FREE. Since Mt Evans wasn’t driveable, this was a great alternative. We were able to get high enough in altitude to see some snow. There is a cheesy little gift shop at the visitor’s center with a nice little loop that is flat and mom-friendly. There is a neat exhibit right now at the Denver Art Museum called “Passport to Paris.” This was definitely a great way to spend a few hours. Also the Museum Cafe was a nice place to grab a coffee and pastry to rejuvenate. Unfortunately, this building was closed but it is our plan to return with the fambam during the week. Also a good spot to grab dinner! After conducting some research on top Social Work programs, I had ran across the University of Denver’s Graduate School of Social Work. Upon reading through the website I felt greatly informed about what type of educational opportunities that are offered at GSSW. I had decided to apply for admissions in the winter. The process of aplying was direct and easy to navigate. When I had any questions staff at GSSW were quick to respond. I was updated during the application process as to all the information received by the school was updated daily and I was even given a heads up to what still needed to be turned in. I appreciated the updates as some of documents did not reach GSSW before the priority deadline. I was finally notified that all of my materials had been submitted for reviewal and that I would have a respons within a given time frame. GSSW held true to providing me with notification of my status in the time frame they had intially gave me. In working with all the staff I was also able to visit the school and received additional personalized information. I was greatly informed about resources to succeeding in and outside of graduate school. Throughout this entire process ever staff member I was in contact with was punctual and friendly with all forms of communication. The contact with staff alone made my decision easy in deciding to attend the Univeristy of Denver Graduate School of Social Work program. The constant contact that I had received from GSSW was outstanding in comparison to other programs I had applied to. The staff wants individuals to strive in reaching their full potential and provide them with the best opportunities possible for success. How good are you with transitions (as you may be dealing with many transitions such as moving to a new state, new school, new internship)? How well do you plan and manage your time? How necessary is having a job? How flexible is your employer (or potential employer)? How good are you at stress management and self-care? If you are great at planning and time management, you may be able to make a bigger commitment to a job. However, if you struggle with stress management and self-care, juggling classes, an internship, and a job may be too much. There are both pros and cons to working while attending graduate school. Working while in graduate school may allow you to reduce loans, pay bills, or simply have spending money. However, while it may be difficult, navigating through graduate school without a job may allow you more time to work on your assignments and practice self-care. GSSW in California this weekend! Could it be true? GSSW at DU will be in California? Yes it’s true! Our very own Nick Ota-Wang will be flying today to St. Mary’s College in Moraga, California for the California Forum for Diversity in Graduate Education. More information can be viewed at: http://www.ucop.edu/forum-for-diversity/recruiters/. Nick and our colleague Sarah Blizzard with the Morgridge College of Education will be representing DU during the Forum. The Graduate Fair at the Forum for Diversity in Graduate Education will be on Saturday, October 25 from 12:00pm – 3:00pm. We wish Nick & Sarah safe travels! Congratulations to Dr. Cathy Potter! Today is a special day for Dr. Cathy Potter, Executive Director of the Butler Institute for Families, and for the staff, faculty, students, alumni, and friends of the Graduate School of Social Work. Dr. Potter is leaving the University of Denver’s Graduate School of Social Work to become the Dean for the School of Social Work at Rutgers University. The University of Denver and the Graduate School of Social Work have been honored to have Dr. Potter as part of our faculty for over 19 years! As an alumni of our PhD in Social Work program, and as an administrator in several roles over the years including Associate Provost for Research for DU, Dr. Potter will leave a legacy that so many can’t. As a school and as a University we wish her only the best of luck! We wish you only the best at Rutgers Dr. Potter. Today is not a goodbye but a chance for us to say hi again in the near future. If you wish to reach Dr. Potter you email her at her DU email address until January 1 at: cpotter@du.edu or to her Rutgers University email which is: cpotter@ssw.rutgers.edu. Finding the perfect graduate program is not a piece of cake. Unfortunately it takes the entire process of mixing the ingredients, baking the cake, then having your piece of cake to find, apply, and get into graduate school. Getting to know yourself can be done through reflection, taking personality tests (like MBTI – which I’ll get back to in a second), and knowing what drives your interests. Social Work is a program and profession full of reflection, change, and growth. Now why does an admission guy who many of you will get many emails from and probably get tired of seeing his name show up in your inbox? Well because like many things in life getting into graduate school is a process. 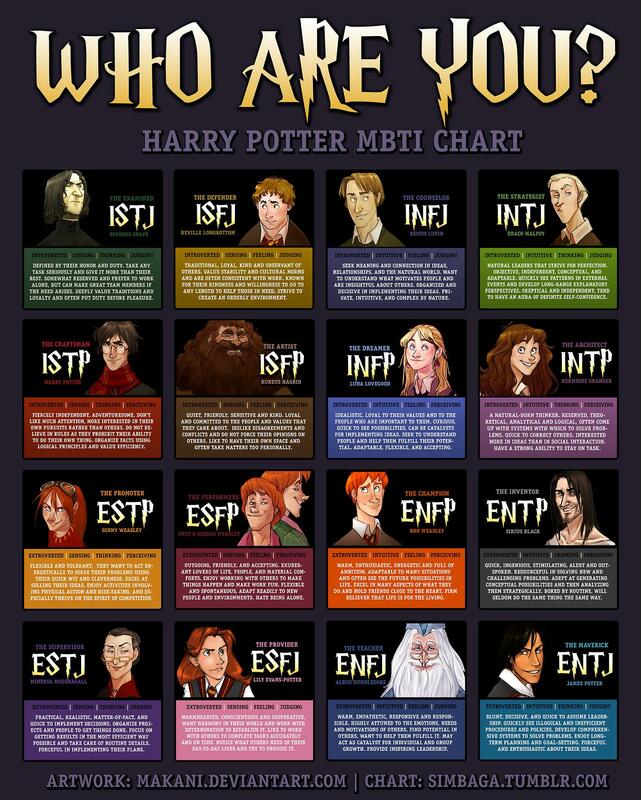 I mention the MBTI because it’s one of many ways for you to learn about yourself. I for example am an ISFJ which probably doesn’t mean much to you if you are not familiar with the MBTI. As an ISFJ I am an introvert, a sensing individual , a feeling individual, and to my dislike I’m also a judging type. Probably makes sense as I do look at all the great applications we receive each year. I ran across two fun diagrams that put some fun into the MBTI and help not take things so seriously. While your application needs to be taken seriously you also need to sit back and enjoy the day. 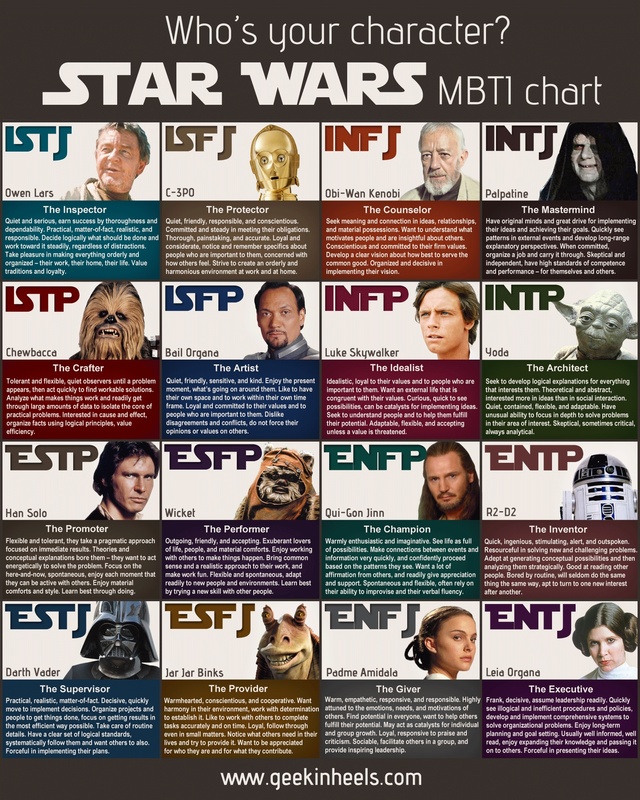 In the spirit of enjoying the day check out MBTI in the world of Harry Potter & Star Wars. Now that I have distracted you enough and helped you hopefully have a laugh it’s time to apply today! Remember that you can always apply for our program by visiting http://www.du.edu/socialwork. I’m always available for you to email back (remember I am email guy) to Nick.Ota-Wang@du.edu or give me a call and chat (303)-871-2841. I’m here to help! Moving to a new city can be an exciting, overwhelming, anticipatory time for anyone transitioning to a fresh start. While it can thrilling exploring new opportunities, the thought of starting anew can also seem fairly daunting. In my move from Southeast Asia to Denver, I experienced a myriad of emotions and found myself questioning the prospects that awaited me. How was I going to build a community for myself when I don’t know anyone? Was I going to enjoy the cool weather or be miserable for the duration of winter? How am I going to figure out public transportation? Like any transition, it’s important to be mindful about our motivations for relocating and be open to new experiences. For me, the opportunity to attend graduate school in a city that offered an array of cultural experiences, delicious cuisine, close-proximity to the mountains (love my winter sports!) and amazing outdoor activity opportunities outweighed the nervousness I felt of moving to a new city. What I love about Denver aside from the aforementioned list of perks, is that there is truly an opportunity for anyone to find their niche. The balance of bustling city culture coupled with the beautiful backdrop of the Rocky Mountains provides a robust environment for all interests. A few things that really helped in my initial transition were reaching out to individuals and groups who shared similar interests and challenging myself to try new activities as often as my wallet could afford. 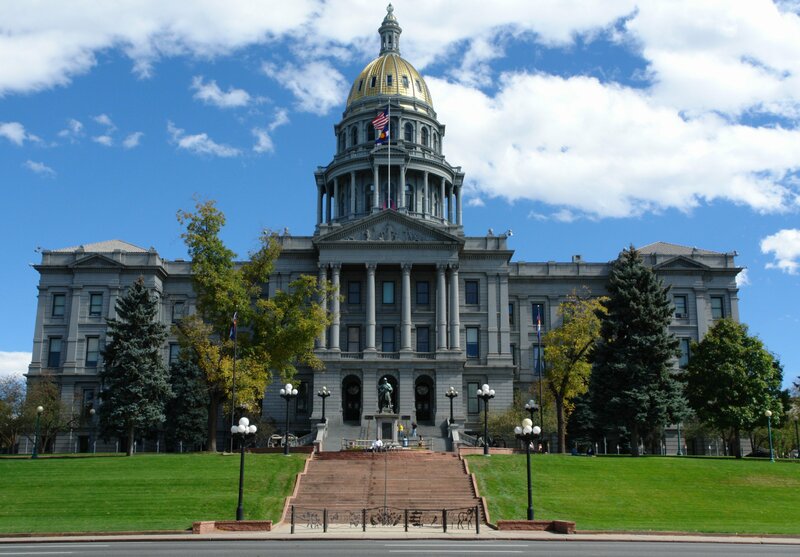 I was adamant about joining a soccer team, becoming a member of the Colorado Returned Peace Corps Volunteer Association, trying different restaurants, and visiting the many parks that comprise the city’s landscape. By engaging in these activities, I was able to discover different ways of making the most of my limited free time.